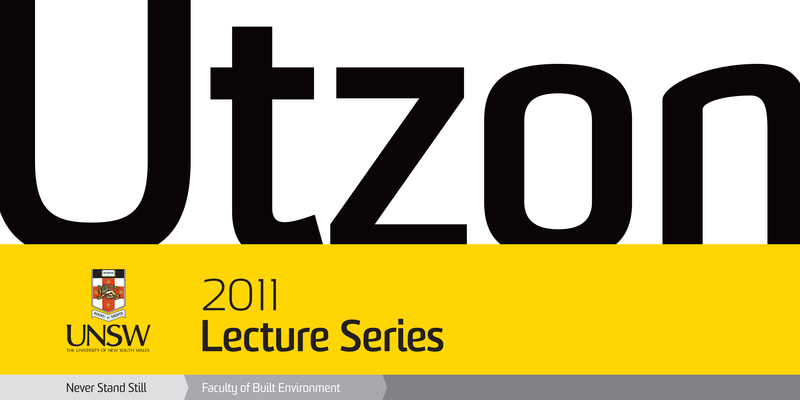 The next instalment of the 2011 UNSW Built Environment Utzon Lecture Series is being held tomorrow (Wednesday) night. The lecture is titled “Vertical Density” and will be given by Carol Willis, Adjunct Associate Professor of Urban Studies at Columbia University and Director, The Skyscraper Museum, New York City. The lecture will explore the different ways to conceptualize urban density: in the ground plane and in the skyline. The world’s densest major cities are Hong Kong, Mumbai, and Dhaka which are wildly disparate models of urban development in the vertical and horizontal dimensions. New York’s density concentrates in Manhattan, where residents number 71,000 per square mile. Using the historical model of New York City and its high-rise zoning regulation, the talk will examine how development pressures, public policy, and urban cultures shape buildings and cities. Further, the talk will consider the correlations of density with affluence–as in Manhattan and Hong Kong–and with poverty. Preferring the density of affluence, the talk asks: Is vertical density a product of rampant capitalist markets, of particular cultures, or can it be planned? Is it a positive goal for cities old and new? Please register for the event between 6.15 and 6.45 tomorrow night. Utzon Lecture “The Empire’s Last Style Soviet Modernism: 1955-1985” by Vladimir Belogolovsky. Jakub Beseda, Built Environment Master of Architecture student, attended the recent Utzon lecture titled “The Empire’s Last Style Soviet Modernism: 1955-1985” presented by Vladimir Belogolovsky. Below are his views and impressions on the event. Vladimir is the founder of the International Curatorial Project that is focused on organizing, curating and designing architectural exhibitions. He was also a co-writer of a publication on Soviet Modernist Architecture. In his brief one hour talk, we were guided though the historical and parallel architectural evolution in the former Soviet Union. Three main periods of the Soviet 20th century architecture were identified – as Avant-Garde, the Stalinist (Social Realism) and finally the Modernism. Vladimir began his factually and visually rich presentation focused on the Stalinist social realism, what happened to and after the Avant-Garde architects and architecture. The inspiration of the early neo–gothic American Skyscrapers behind the “Seven Sisters in Moscow” were discussed amongst others. Parallels could be drawn between this style – that was favoured by Stalin and the earlier plans and ideology of Hitler for the new Germany. As explained, with Stalin’s death in 1953, his successor Nikita Khrushchev denounced both the social realism in 1954 and Stalin in 1956. This has marked the beginning of Soviet modernism. Buildings inspired by international architects and the advancements in the west were being constructed – various examples presented in the lecture included cultural, office, residential and sport complexes – both within Russia and the former republics. Some examples I believe were and are on path with the most iconic buildings of the 20th century in the world – yet lacked the publicity and architects did not gain the deserved recognition beyond the Soviet borders. At the conclusion of the lecture, some present trends in Russian architecture were displayed – comically showing signs of return to (neo) social realism. It is very hard in such short time limit to get into depth of the ideas presented, but the lecture I personally believe successfully served as a platform for further investigation. Vladimir’s knowledge, passion and critical thinking on the subject and its relation to the present architectural trends worldwide was phenomenal and I hope he can return to UNSW in future to continue and conclude his fascinating talk. The second installment of the 2011 Utzon Lecture Series “Sydney 2030 Vision” by Clover Moore MP, Lord Mayor City of Sydney is now available for viewing on UNSWTV.